After the Oneplus One which launched (and got banned) in India with its CyanogenMod powered smartphone, we now have our very own Indian Brand launching the Micromax Yu Yureka. Similar to Oneplus One, Micromax Yu Yureka comes powered with CyanogenMod OS 11 based on Android Kitkat 4.4.4 and Micromax promises to give it a CyanogenMod OS 12 update based on Android Lollipop 5.0 very soon. Before I give you plenty of reasons why I love the Micromax Yu Yureka, let me give you an overview of what CyanogenMod is? and why it’s making such a buzz? What is CyanogenMod? Why should you bother? CyanogenMod is a free, open-source and community build version of Android which is highly customized by community developers whose main focus is to boost performance of a device. Steve Kodnik is the founder of CyanogenMod and the company started as an open-source Android development project on GitHub (a mecca for open-source developers). What CyanogenMod does is, it takes the usual version of Android and modifies it according to its taste by giving boost to performance, removing bloatware and puts high emphasis on user-end modification. It releases Moded Android OS for all kinds of popular Android Devices and now has partnered with the Indian company to collaboratively launch Micromax Yu Yureka. CyanogenMod to Android smartphones is like what Linux is to the PC, it gives power in the hands of consumers by offering a 100% open-source environment. 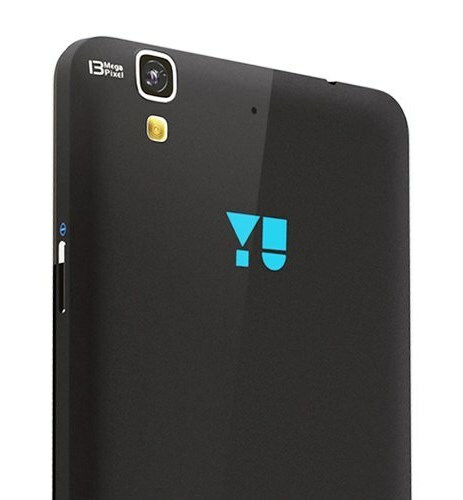 Now lets get down to 7 reasons why Micromax Yu Yureka is the perfect Smartphone for you! The Oneplus One comes powered with a Snapdragon 801 Chipset, whereas the Micromax Yu Yureka comes along with Snapdragon 615 Chipset clocked at 1.5 GHz which the company touts be 44% faster than Snapdragon 801. Since Oneplus Plus costs twice that of Micromax Yu Yureka, it does makes sense vying for Yu. Along with a powerful processor, the company also has added 2GB RAM to the equation; a first for an Android Smartphone under Rs. 9,000 which gives you greater bang for your buck along with 16GB internal memory and support for 32GB MicroSD card. Well we even have an affordable Asus Zenfone 5 coming with 2GB at just Rs.9,999 if you want options. If you have no idea about CyanogenMod, you really wouldn’t understand my excitement with this product. This alone is the USP of Micromax Yu Yureka. This definitely could be the only resonating reason for huge sales for this phone as the company along with Amazon.in is planning for a flash sale for this smartphone, just like what Flipkart did with Xiaomi. We hope, Amazon.in handles it better than Flipkart, though pre-registration for the phone has already started and will be sold on 13th January, 2015 @ 2PM. This is the only smartphone under Rs. 10,000 that will support 4G LTE once it is launched. It feels great that the company is leaving no stones un-turned to make Micromax Yu Yureka better choice for a price of less than Rs. 10,000. The phone comes with Dual-SIM support where one SIM will support 4G network and the other SIM will support 3G network. We won’t think that will be too long that Indian carriers come blazing with 4G once this phone is launched. 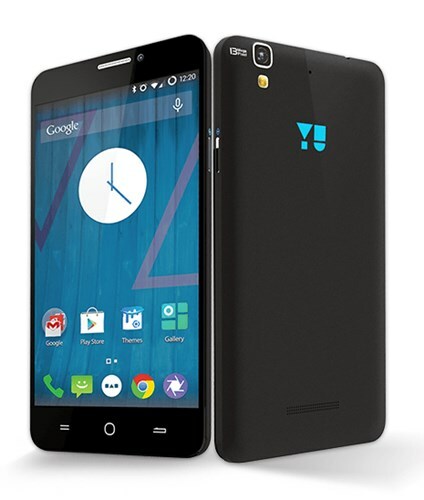 Even though Micromax Yu Yureka is ultra-affordable, the company hasn’t compromised on optics. This CyanogenMod powered smartphone comes with a 13MP camera at the back whereas for selfie buffs it has a 5MP camera at the front. The primary camera consists of 5-piece Blue Lens Architecture, embedded with a SONY EXMOR IMX135 CMOS Sensor and has a 75.4 degree wide angled lens which will offers good color reproduction at affordable price. It can shoot 1080p videos at 24fps and record Slo-Mo videos at 60fps though at a lesser resolution. The in-built camera app has support for live-filters, Exposure control and Burst Mode. Yeah! you read it right. If the experimenter in you was adamant to root a smartphone since it voids warranty; no worries now. Micromax has announced that warranty won’t be void even if you root your smartphone. Since CyanogenMod is an open-source Android Development community, this is an important move by the Indian company. This means you can do anything to your smartphone on the software front and still claim for warranty. CyanogenMod OS is all about user-specific customization. The phone will allow you to set on your own the functions a hardware or software button may perform. You can even chose what the phone will do if you single-tap or double-tap on screen. One can even set custom gestures on his/her Micromax Yu Yureka. Though I have revealed its priced a number of times above, it’s still a major factor for buying this devices. It’s very hard to see a smartphone which is feature-packed to the brim at such an affordable price of Rs. 8,999. I though only my Asus Zenfone 5 was an affordable piece of hardware but Micromax Yu Yureka has certainly changed that. Though still I’ve kept my thoughts on reserve until I test this device hands-on. Still considering what we know, Micromax Yu Yureka definitely will be a hot topic in the coming month and during its launch. Conclusion: This smartphone definitely deserves a buzz it’s creating in the market. Considering the price-to-features ratio it seems the best. Though I’d still like to hold my excitement as what looks great on paper may not be the same in real life. So we’ll have to wait till January 13, 2015 to let you know my thoughts. Let me know your thoughts about the device in the comments section. Micromax Yureaka is the best budget android smartphone out there. It is a perfect competitor to Oneplus One and Moto devices. I heard that a new company named VIVO launches a new device with same specifications and it is entitled as the slimmest device in the world. Don’t know about pricing ? Do alert me about it’s price. Thanks for your comment Lakshman. Yeah! Micromax Yu Yureka is going head to head against, Oneplus One! Even VIVO has launched its new smartphone which is slimmest till now, will surely let you know about its pricing! read this comment should buy it and i am also going to buy. Hmm yeah! You’re right Samuel! Since it will be a flash sale, one needs luck on his side to buy this phone! Last few months micromax stable a benchmark in Indian smartphone market. But the biggest problem with micromax devices is after sell service. In the Yureka smartphone micromax trying to win the confidence of Indian Smartphone users. So it offer at-your-doorstep (on-site) warranty for Micromax Yu Yureka. Does it support 2G Network also? Yes Ankit! It does support 2G networks. Thank You Abdul Ghani for your response! I agree with you, battery is its weakest compartment with Micromax Yu Yureka and every other phone from the company. Since it includes 4G, it makes this smartphone future ready. I checked out its specs and looks like a great contender, only price seems to be a deterring point between Asus Zenfone 2 and Micromax Yu Yureka. If you can shell more bucks I’d suggest Asus Zenfone 2 instead!